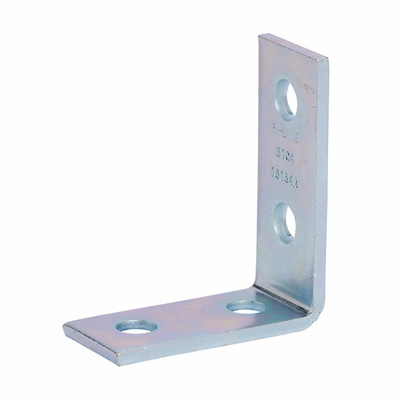 Detailed Description: Cooper B-Line Pre-assembled 90 deg corner angle bracket comes with 316 stainless steel finish for corrosion resistance and is great for industrial purpose. It has four 9/16 Inch holes for better installation. It measures 3-1/2 Inch x 4-1/8 Inch x 1/4 Inch. It is ideal for use with channels.